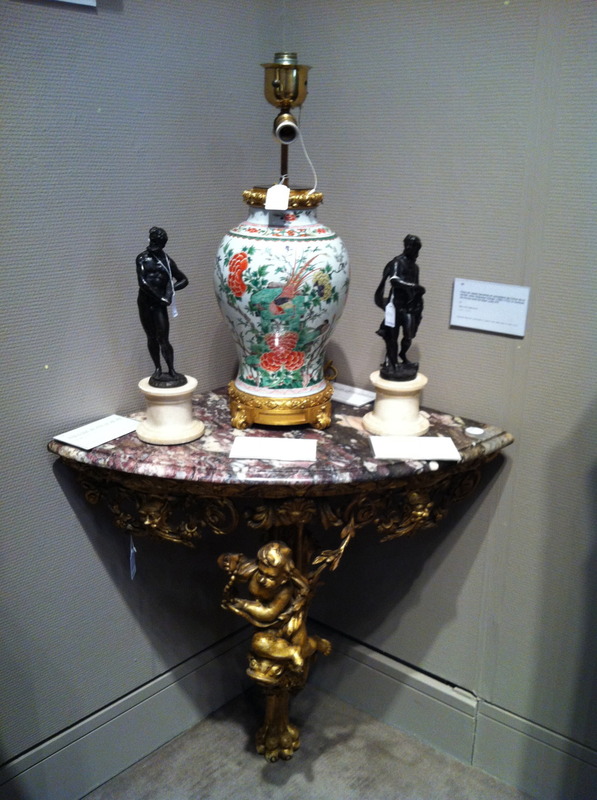 A few of our favorites from the Sotheby’s Important Mobilier, Sculptures et Objets d’Art sale in Paris, 20 April 2012. 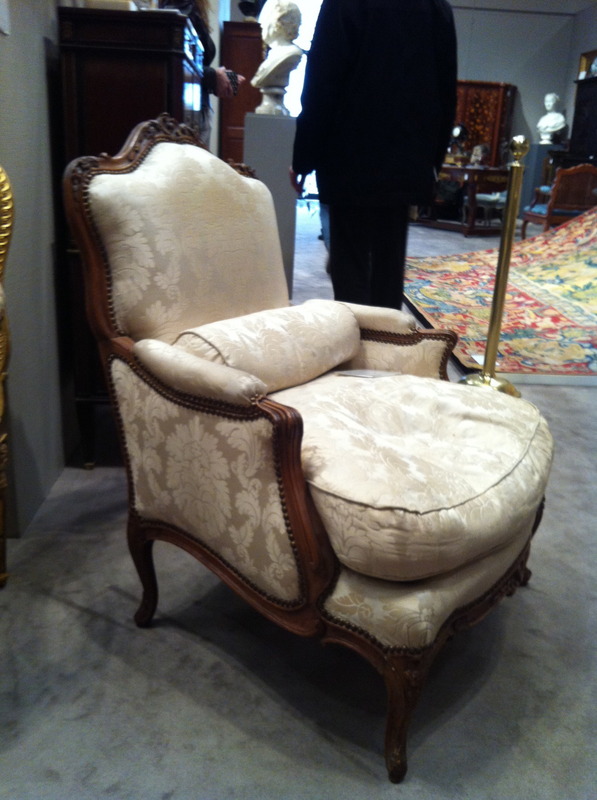 There is nothing that says luxury more than this gracious Louis XV beechwood bergère. It can be recovered to suit your taste. 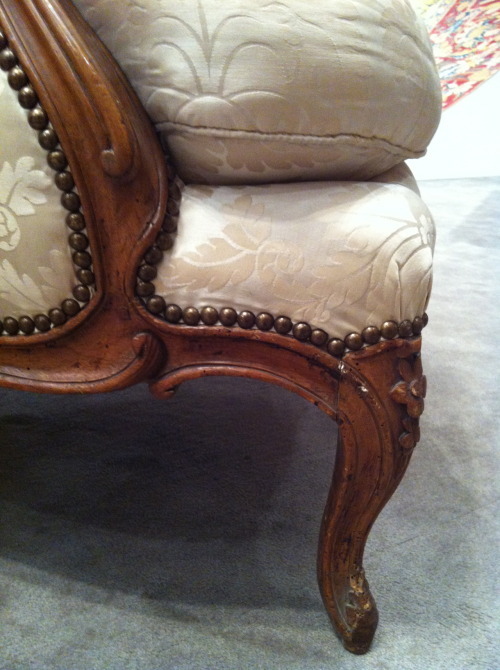 Look closely at the grace of the curves and the quality of the joinery. 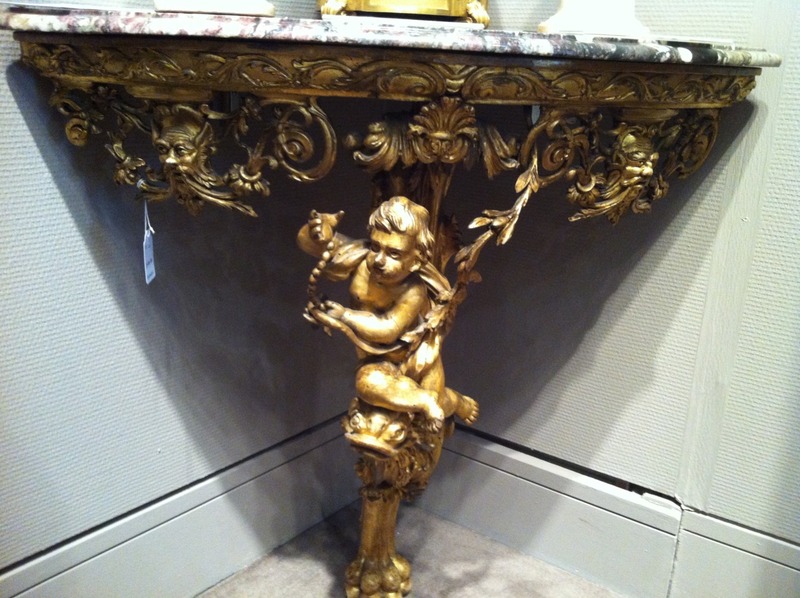 A North Italian Giltwood Corner Console, probably Florence, circa 1730. The gracious putti atop a dolphin, holding a string of pearls is glorious! It is framed by bearded masks and acanthus foliate scrolls. 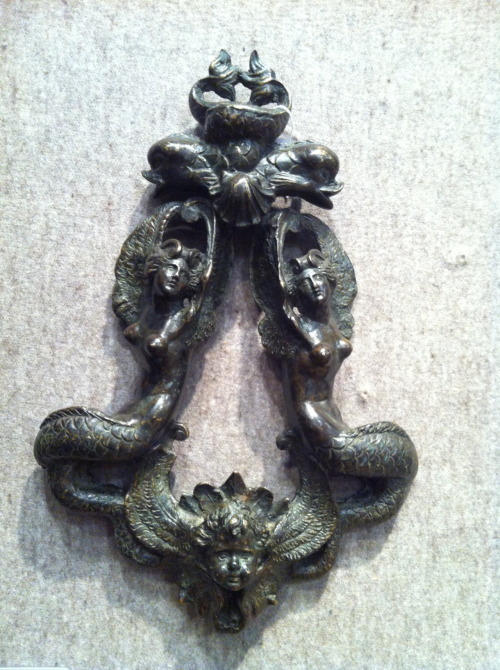 Italian door knocker in bronze made in Venice in the 16th century.